New Ride for the New Year! Enter for your chance to start the new year with a new ride! 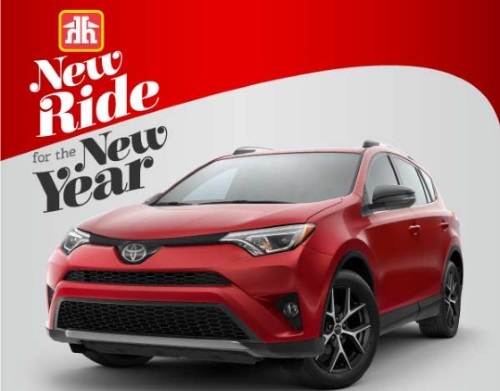 Home Hardware is giving away a Toyota Rav 4! Contest closes January 27 2017.